Posted on June 23, 2016 by Adelaide Hills Pastured EggsPosted in Pastured Eggs, UncategorizedTagged Adelaide Hills Pastured Eggs, Eggs, Pastured Eggs. Previous Previous post: “Smooching” with the Kids! So what does pastured actually mean. How much do your chickens get to roam on? We need something to measure it against. 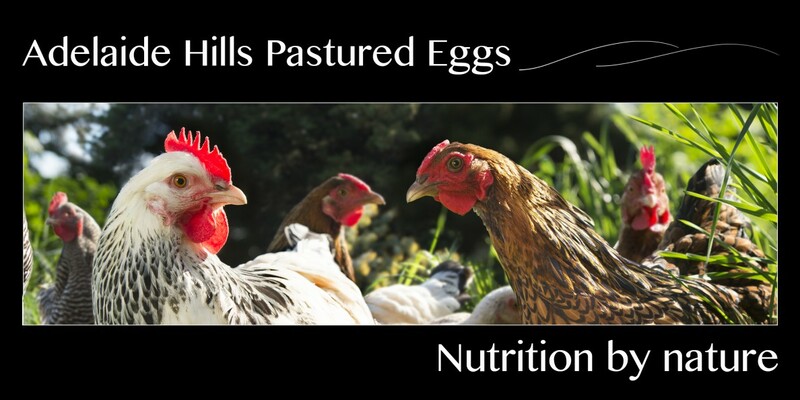 HI Neil, to us a pastured egg is one in which the chicken has unrestricted access to pasture 24 hrs a day 7 days a week. We use a hen house that looks like a movable caravan with built in perches and an Italian made/designed nesting boxes for them to lay their eggs. The fact that we move our chickens onto new fresh pasture means that our pastures regenerate and get a boost from the fertiliser the chickens leave behind. Our stocking density is a very low 30 hens per hectare and with our rotation of our chickens across our farm means that the birds will not be on the same patch for up to 12 months which is truly a sustainable approach to farming. Our farm is approximately 80 acres (32 Hectares) and re have sown an incredible diverse range of grasses, legumes and herbs. The land is not over used or degraded and in fact flourishes under this style of management. So pastured eggs are significantly different to the new free range guidelines.